Party of 5 and counting: ROCK THIS BOAT: NEW KIDS ON THE BLOCK (NKOTB) June 1st! 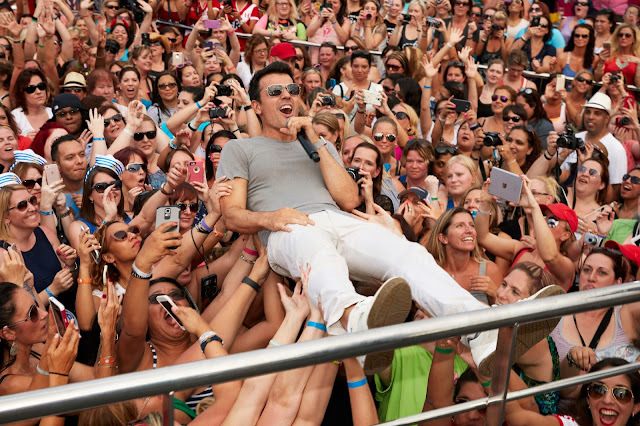 ROCK THIS BOAT: NEW KIDS ON THE BLOCK (NKOTB) June 1st! Growing up as a child from the 80's I naturally listened to and totally adored NKOTB! Hangin' Tough was one of my favorites while my sister preferred Please Don't Go Girl and we often fought over which song got played next. Being that I'm older meant I always won! Even now as an adult I love listening to the old KNOTB songs and jammin around the house. My kids think I'm crazy but reliving my childhood makes me happy. Of course I always missed the concerts when they came around, selling out so fast and all. 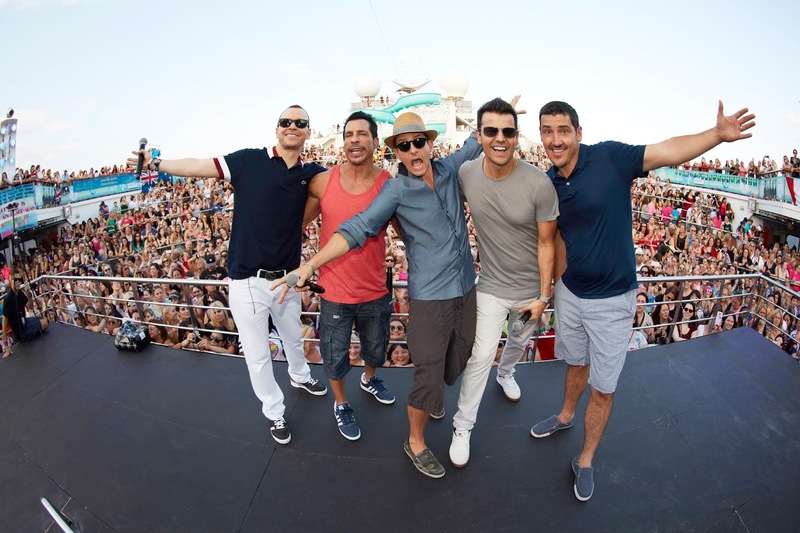 This summer, Pop jumps on-board one of the hottest selling, fan-driven cruises of the year, featuring one of the most popular bands in music history, with the second season television series premiere of ROCK THIS BOAT: NEW KIDS ON THE BLOCK (NKOTB) on Thursday, June 9 at 8:00 p.m., ET/PT. Season two of the music reality series brings fans intimate, unprecedented access to NKOTB in 10 new television episodes. To further immerse viewers in the NKOTB experience, Pop has teamed up with Littlstar, a premier global network dedicated to virtual reality (VR) and 360 degree video, to launch immersive content on web, mobile, headset and Apple TV platforms. The dedicated VR and 360 degree experiences will include live performances with the band, selfies with Donnie, surf lessons with Joey and Jonathan, and more. “No producer could help us properly capture the fan experience, better than the fans themselves,” added Executive Producer Donnie Wahlberg. ROCK THIS BOAT is produced by Jarrett Creative Group in association with Donnie D. Productions. Executive Producers are Donnie Wahlberg, Julie Insogna Jarrett and Seth Jarrett.